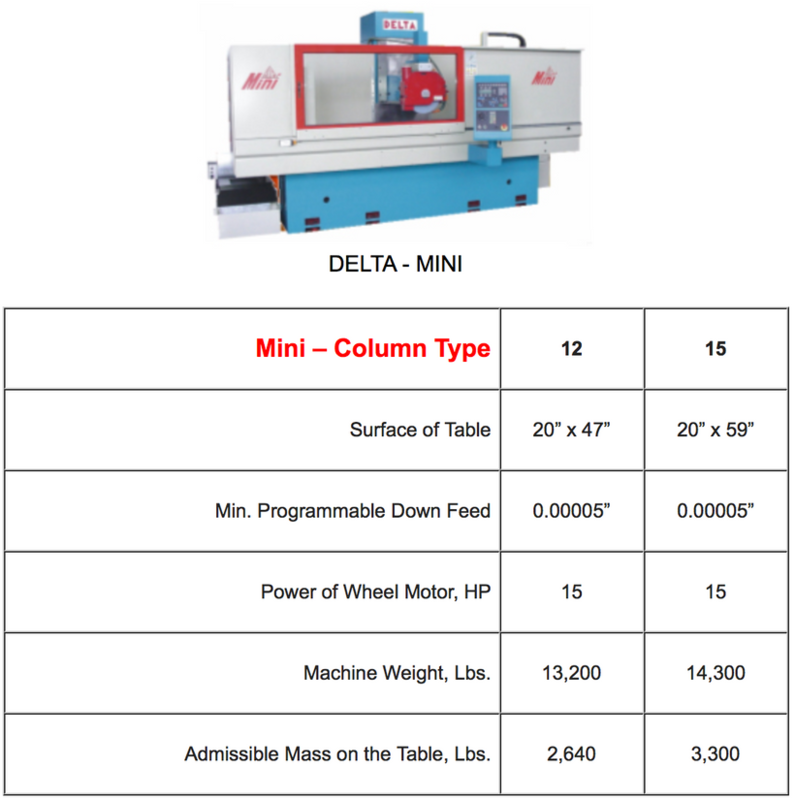 Delta surface grinders maintain a structure made of oversized, properly ribbed, Meehanite cast iron. These grinding machines include hydrostatic lubrication, on all axes, eliminating sliding friction and stick slip. Ground, class C3 ball screws assure great precision in the movement of these surface grinding machines. Delta grinding machines also incorporate a spindle that runs in a hydromatic bearing of Mackensen type. These grinders also maintain a dynamically balanced spindle motor to virtually eliminate possible vibration causes. Operator friendly control with programmable rough fed, fine feed, spark out, and automatic wheel dressing cycle with vertical compensation. NC Control includes all of the Diastop functions plus menu on video for an easy, quick introduction of grinding cycle parameters. 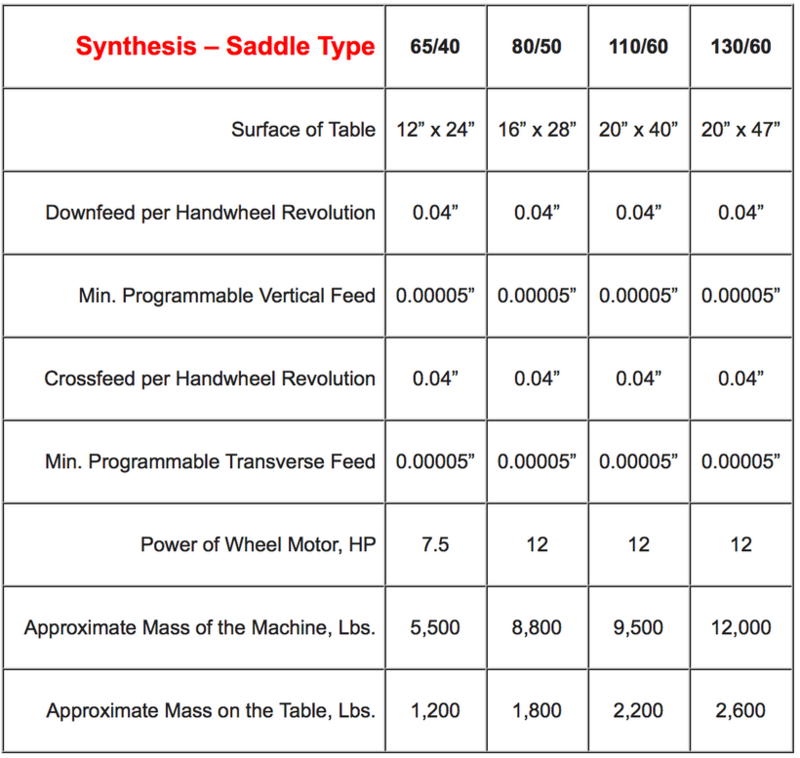 Memory of data for 10 different work pieces, additional dressing cycles, additional spark out cycles, and incremental positioning provided by an electronic hand-wheel are also provided functions. The vertical and cross axes can be interpolated in order to profile the wheel and to execute special grinding cycles. The number of axes can be increased for using rotary and/or tilting tables. 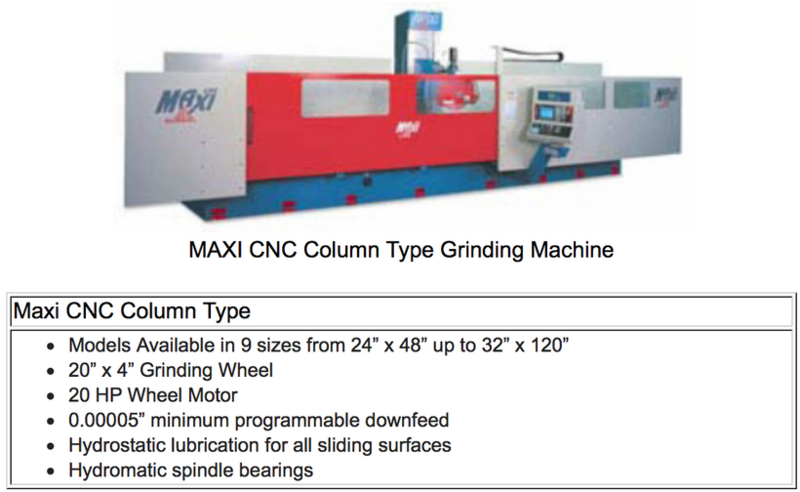 The graphic display makes the insertion of the grinding cycle parameters quick and easy. Additional pages/screens and functions can be created at the customer’s request.